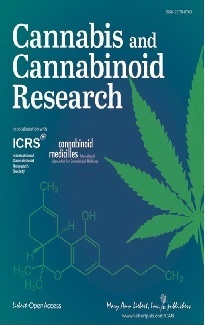 The effects of the cannabis extract Sativex was investigated in a large Phase III study conducted in several EURopean countries in patients with refractory spasticity due to multiple sclerosis. The study consisted of two phases. In the first 4 weeks participants were treated with the cannabis extract in a single-blinded manner, after which those achieving an improvement in spasticity of 20 per cent or more progressed to a 12-week randomized, double-blind, placebo-controlled phase. Results had already been published previously on 11 March 2009 by the manufacturer of Sativex, the British company GW Pharmaceuticals, and thereafter in the IACM-Bulletin. Of the 572 subjects enrolled, 272 achieved at least a 20 per cent improvement after 4 weeks and 241 were randomized. There was a highly significant difference in favour of Sativex in the reduction of spasticity. In addition spasm frequency, sleep, the global impression of change by patients and physicians were all significant in favour of Sativex. 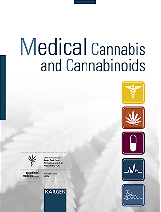 Researchers concluded that the used study design provides a method of determining the efficacy and safety of cannabinoids "in a way that more closely reflects proposed clinical practice, by limiting exposure to those patients who are likely to benefit from it." A Norwegian citizen suffering from post traumatic stress disorder (PTSD) and attention deficit hyperactivity disorder (ADHD) tried to import cannabis of the Dutch company Bedrocan from a Dutch pharmacy to Norway, which was however confisciated by the border police. Mr Berg wanted to try a treatment with cannabis, which is supported by his doctor. According to an e-mail to the IACM Mr. Berg. received a letter from a juridical adviser under the Health & Social Services (Ombudsman) telling him that the Norwegian Drug Agency has confirmed to them that he did not break the law by bringing cannabis from a Dutch pharmacy to Norway, according to article 75 of the Schengen agreement between EURopean countries. Mr. Berg is now expecting that he will get his cannabis back from the police.